Remember Gaijin teasing the community with that important Ground Forces addition yesterday? Yes... Japanese Tanks are coming. IgroMir 2016 is now over, and with it came a surprise to many, Imperial Steel. We as the community have demanded, and Gaijin is going to deliver to you all what you have wanted for so long. An Independent Japanese Ground Forces branch in War Thunder... who would have thought? Just over a year ago Game Developer Viacheslav Bulannikov told the community a Japanese tree would not come to fruition. They called the tree "unlikely" and "difficult". As a reaction, I quickly put up my own website for the project to get Gaijin to change their minds on their decision. We made it... War Thunder! Aside from the personal stuff, what's here and what do we know? Well, not much at the moment unfortunately. What is public and confirmed in a definite manner is that we have two tanks; Ha-Go and Chi-Ha Kai. Yes, only two renders have been shown but don't worry this was Gaijin's little surprise to everyone confirmed that it's going to happen. So no worries. In the meantime I'll give you the rundown of the tank vehicles that we all know Gaijin didn't put major emphasis into. 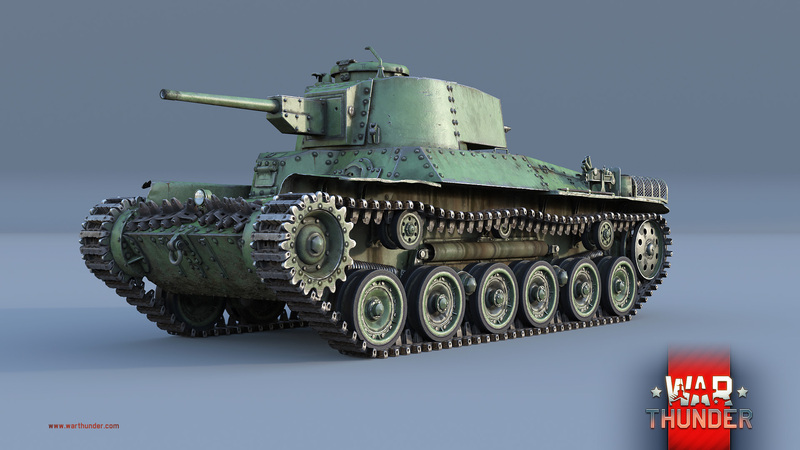 Chi-Ha Kai - Known to be the most recognizable tanks of the Imperial Japanese Army. 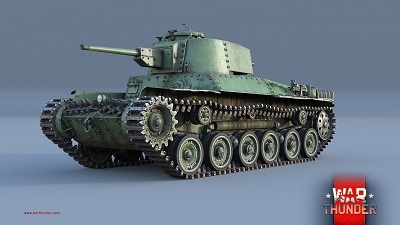 A medium tank out of nature, the Kai is an upgraded (Hence - Kai) model of the standard Type97 Chi-ha. Equipped with the Type1 47mm, this anti-tank cannon was designed and built to handle Allied armour after the battle of Nomonhan. This deadly 47mm gun was recorded with excelling penetration for its caliber for its time and was used extensively as the primary armament preferred by infantry. Allied armour found the first encounters with the gun to be devasating, going as far as to nickname the Chi-Ha Kai the "Tigers of Corregidor" for their maiden operation against the United States at the island of Corregidor. Allied intelligence first labeled the Kai as a heavy tank, but after being exposed to the vehicle in multiple operations, they soon realized its glaring weakpoints and deemed it the proper "medium" it always has been. It has a deadly cannon for its era, but what of its armour and protection? You cannot have both, and as a result Mitsubishi constructed the units under the Army's requests of a mobile medium tank with standard armour instead of adopting a heavier standard. The maximum armour protection on the Kai is a whopping 50mm, yes... 50mm. Relying on armour is fruitless in the field. And as such you must rely on your gun depression of -15 degrees to your advantage. Ha-Go - An also iconic tank that to many comes off as insignificant and petty. But to those who have gone against the light tank are unpleasantly aware of its potential. 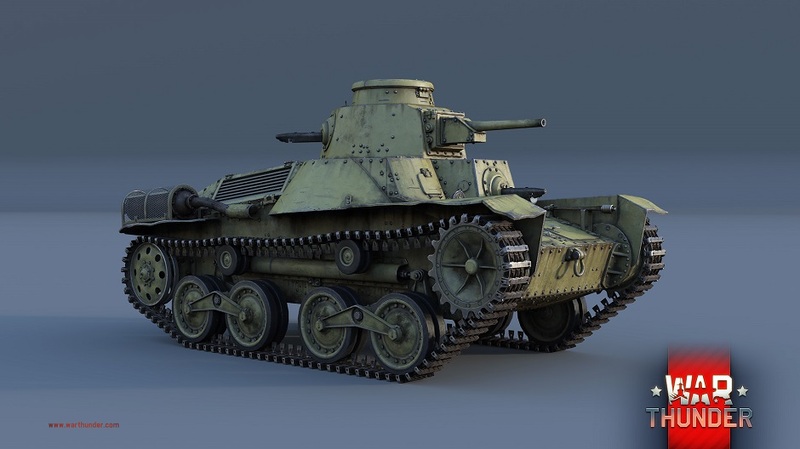 Designed during the early 30's, the tank was to correct lessons learned in China. The Type89 I-Go was slow, and often had issues keeping up with the rapidly pushing infantry. As a result the Type95 Ha-Go was pushed into service as the new main infantry support vehicle for its beginning years. Its light weight and powerful engine for the time gave it daring speeds of 40 kmh on roads and the flat fields of Manchukuo. Being able to compete with the M2 Light and M3 Stuart. It's armament was the Type94 37mm gun. Petty to most, the Type94 was used extensively in China where hostile armour was scarce. It began an infantry's preferred tool in clearing resistance. Its initial encounters with tanks resulted in a surprising success for the Japanese at Khalkhin Gol with the soviet encounters of BT light tanks. While the operation ended in Japanese defeat, the armour battle was won by Japan by the landslide. For now this is all we know publicly in regards to Japanese armour. Stay tuned to the official War Thunder outlets for upcoming information! Sensha is a personal blog for me, Seon Eun Ae, to convey my thoughts about Japanese tanks to you. I will keep this blog up-to-date on news released and give you the rundown of everything. How often are you going to update this? Every time you post about vehicles on live or only when a Japanese tank Devblog comes out? Sounds exciting, looking forward to it!